The CLA Recent Call Event: Practice Management – Surviving Your First LSO Audit and Beyond program, to be held on April 17, 2018 has been accredited for 1 hour of Professionalism Content. This seminar will provide an overview of best practices and tips for effective practice management. 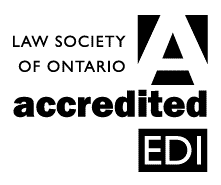 Featuring panelists from the Law Society of Ontario’s Practice Review Department and counsel who regularly acts for Law Pro, attendees will learn how to avoid some of the most common problems and serious mistakes that affect recent calls.